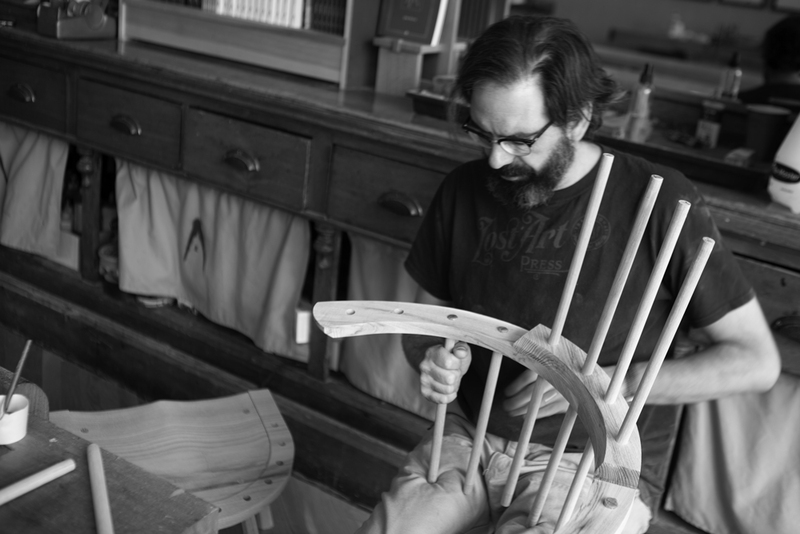 I’m a furniture maker, writer and publisher who works from a storefront in Covington, Ky. I am one of the founders and the editor of Lost Art Press, which publishes books on hand tool woodworking. And I am one of the founders of Crucible Tool. In addition to my writing and editing efforts, I build commission pieces for customers and research traditional woodworking techniques. Born: June 13, 1968, St. Louis, Mo. Grew up: Fort Smith, Ark. Current residence: Fort Mitchell, Ky. The Marc Adams School of Woodworking, Franklin, Ind. Kelly Mehler School of Woodworking, Berea, Ky. The Woodwright’s School, Pittsboro, N.C. The Woodworker’s Club, Rockville, Md. Connecticut Valley School of Woodworking, Manchester, Conn. The Furniture Institute of Massachusetts, Beverly, Mass. The Northwest Woodworking Studio, Portland, Ore. Port Townsend School of Woodworking, Port Townsend, Wash.